Styled with posey sweatshirt . A silly piece of frippery that you'll wind up wearing ALL THE TIME. 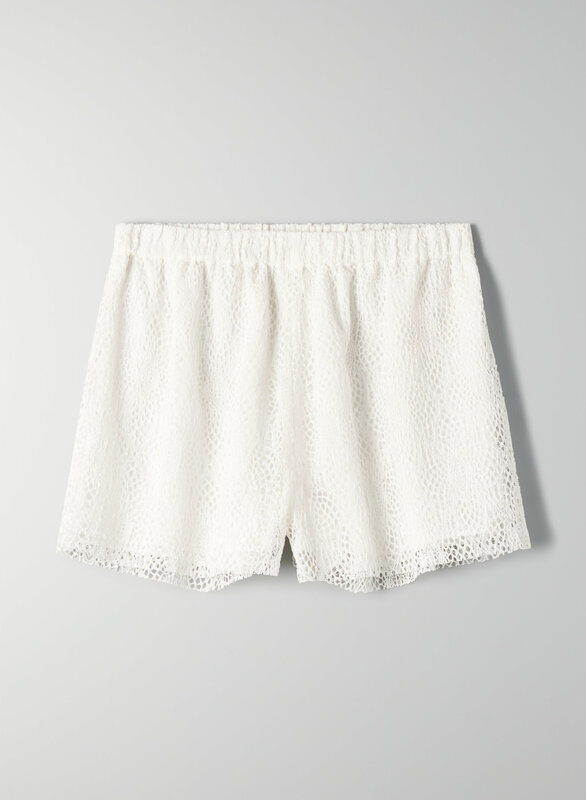 This is a pull-on lace short with a botanical motif and elastic waist.